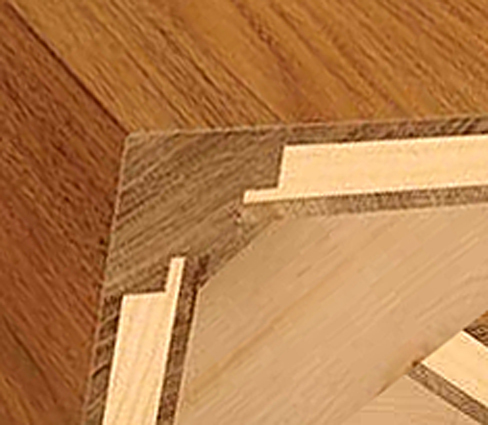 Looking at the photo, although not particularly clear, it looks like a plywood construction, and that the corners were created by steam bending over a form. Obviously, I am not planning to do that. Also, I do not plan to laminate a curve as this will not match solid pieces elsewhere. The choice is then to either use dominos or a bread board. I think it should be the latter if the grain is running across the table top. However, if a breadboard, then the ends need to be longer, and could be a problem.